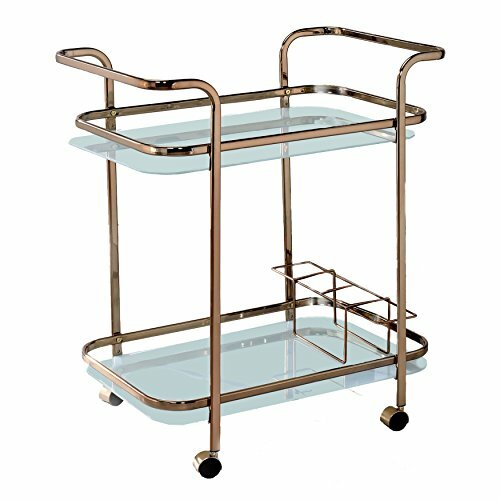 The Lautner Serving Cart features clear curvy lines and a chic Champagne finish. Open glass shelves with sturdy metal guard rails make it easy to organize all your essentials while wine bottle holders keep your bottle securely placed. Each side is distinguished by wide bar handles, making it easy to move the piece about on its caster wheels. Bring a functional and glamorous touch to your home with the Lautner Serving Cart by ioHOMES.